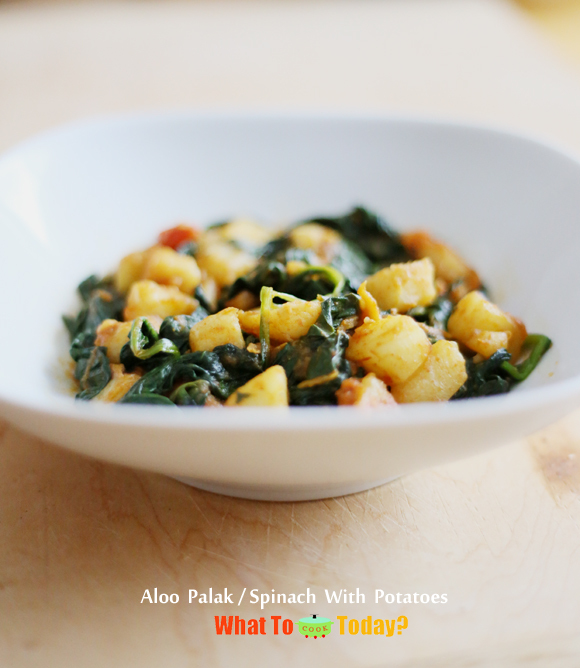 Aloo palak is one of my favorite Indian vegetarian dishes. It’s such a simple dish and I learned about this dish when we ate at an Indian Restaurant and really like it. 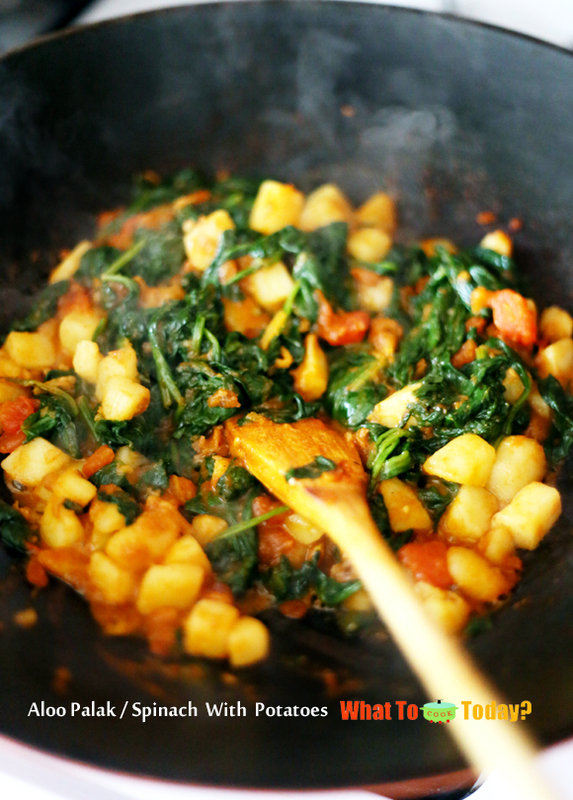 The spices used are not too overwhelming, yet flavorful enough. 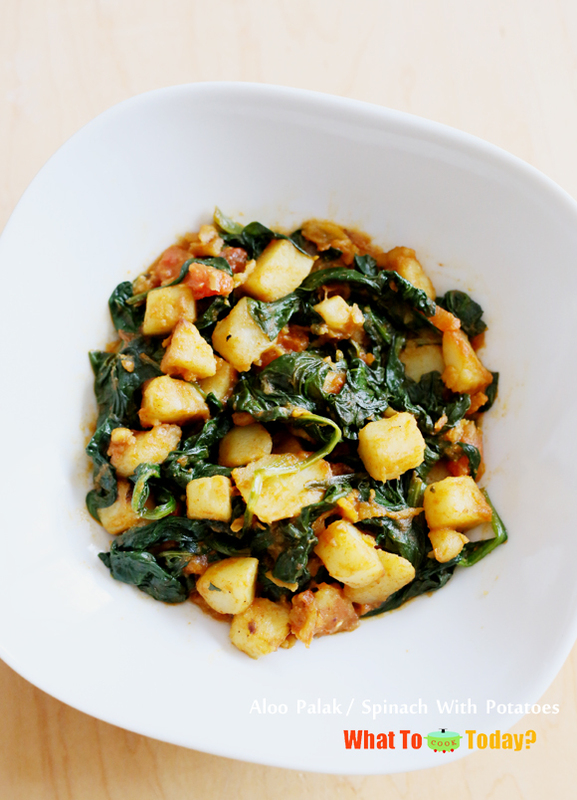 This is a fairly quick dish to make and goes very well with plain rice and other dishes.